Adi’s low 24/7 cabinet fits under desks and keeps your workspace tidy by concealing books, documents and office supplies. 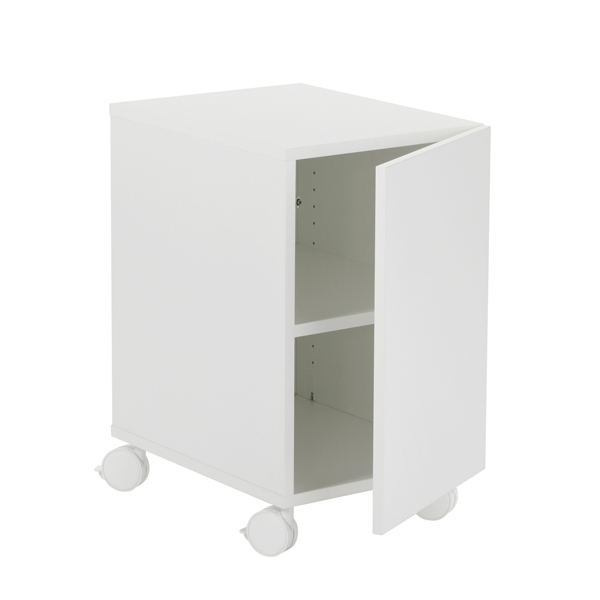 The four wheels make the cabinet easy to move and the shelf can be placed on various heights inside the frame. 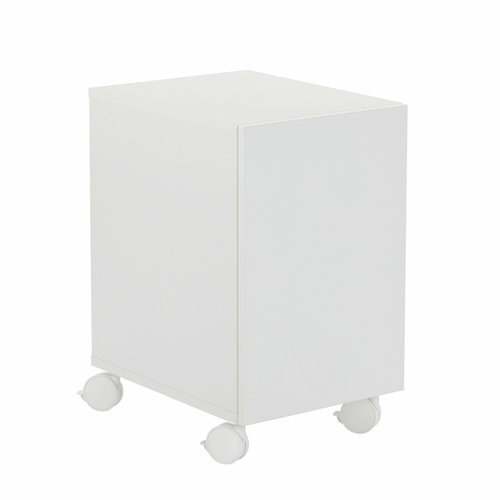 An indentation on top of the door functions as an invisible handle giving the 24/7 cabinet an attractive, clean look. 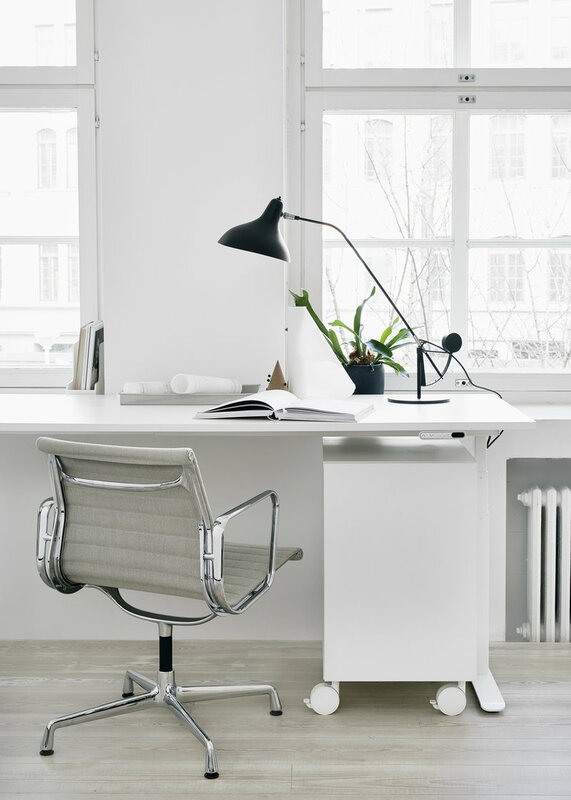 24/7 is Finnish Design Shop’s own office furniture collection. It features beautiful, versatile pieces that are perfect for mixing and matching with each other as well as with other furniture and accessories. The range, manufactured in Finland, includes a meeting table, electric height-adjustable desk, open shelf, drawer unit and cabinets with wheels. 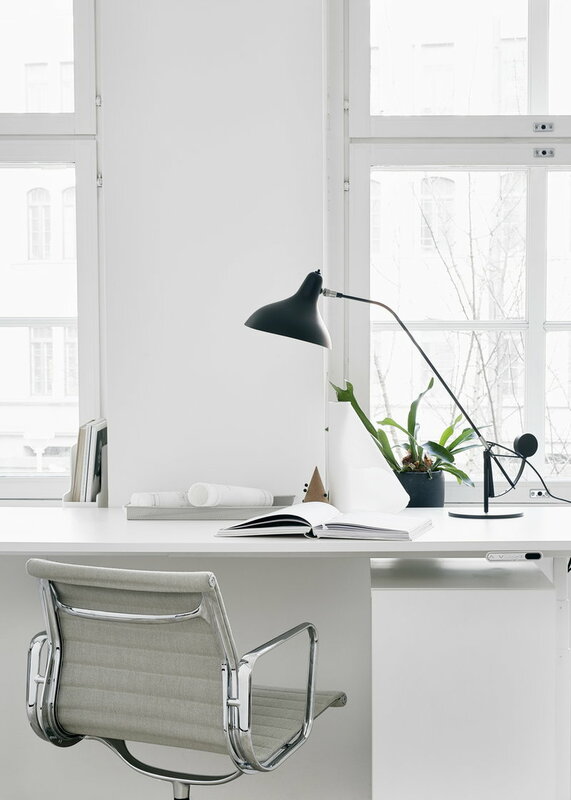 The minimalist designs make perfect building blocks for creating a pleasant and functional workspace in both homes and offices.